It seems like weekly we hear a story about the abuse of power in our country and around the world. These men or women have power because of position, name and or money and their stories of theft, abuse, enslavement and intimidation all find their roots in the abuse of power. These people take their power and use it to meet their selfish needs. Such are the stories that riddle our world and bring us to disgust. (6) Though he was God, he did not think of equality with God as something to cling to. (7) Instead, he gave up his divine privileges; he took the humble position of a slave and was born as a human being. When he appeared in human form, (8) he humbled himself in obedience to God and died a criminal’s death on a cross. Rather than use His power to save himself- Jesus used His power to save us. Jesus surrendered his position as Lord to become one of us and die on a cruel cross for our redemption. That doesn’t make sense in the world we live in and yet that is the call of Christ for us as well. We are called to use our power to help people discover the love and forgiveness of God found in Jesus Christ. I asked you to make a list of people you are going to pray for and invite to Easter Sunday. 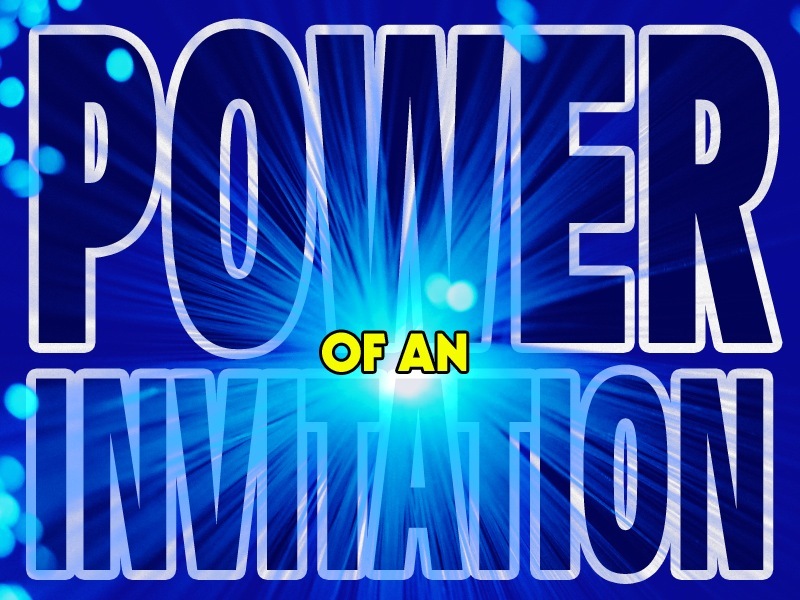 You have the power of influence- will you use it this week to invite someone to hear the “good news” of Easter? Make your list- pray for these folks daily and then invite them to come with you this Sunday.